So, despite my complaints I bit the bullet and got the Nintendo Switch, which I’ll likely be selling my WiiU to make up the difference for that mess. ANYWAY I wanted to get my thoughts out after actually getting my hands on the device. It’s a surprisingly well built machine, it’s the first tablet I’ve seen with screws that would allow you to open it up to change the battery if it were to fail. The joycons feel really well built, and it’s nice that you can sit back with your hands not together with normal controllers, especially if you’re like me and have wide shoulders and a barreled chest. My hands are medium sized with sausages for fingers and over all I have little issue with the joycons. The biggest issue I have is the minus button on the left joycon, I cannot for the life of me reach to hit it with my thumb, I gotta use my other hand. The “dpad”, is as a I thought not great. For all the Nintendo fanatics insisting “you need to try it to know” no, I didn’t, it’s 4 face buttons and not a pivoting dpad. It works fine for menus but it’s functionality is minimal at best for platformers. The buttons are click-y and nice overall and the sticks function well. Obviously something like the XB1/PS4/WiiUPro sticks are better for precision but, for a portable/non portable device? Totally serviceable, though if you have bigger hands you may not like the right analog stick location unless you’re using the included joycon holder thing. The screen is lovely, it’s 720p but obviously when the game is scaled to match the device’s screen it works nicely. Seeing the game at 900p on my 1080p TV isn’t as bad as everyone makes it to be, maybe it’s just Breath of the Wild’s cell shaded art style (no other games to really try this with either) but it certainly isn’t ugly as I’ve heard. Maybe on a 4k TV it’s harder to swallow, I don’t know. Speaking of which, the transition is pretty swift, put it into the dock, it’s instantly on the TV, something I’ve wanted for YEARS. Okay, I’ve sounded pretty positive, but now I’m going to talk about the flaws to this device, and they can be pretty severe depending on what you want to do with the unit. The dock is a cheap pile of garbage, it’s mostly hollow, really light, okay-feeling plastic. It looks nice, even hides your cables but there’s one other major flaw with this. 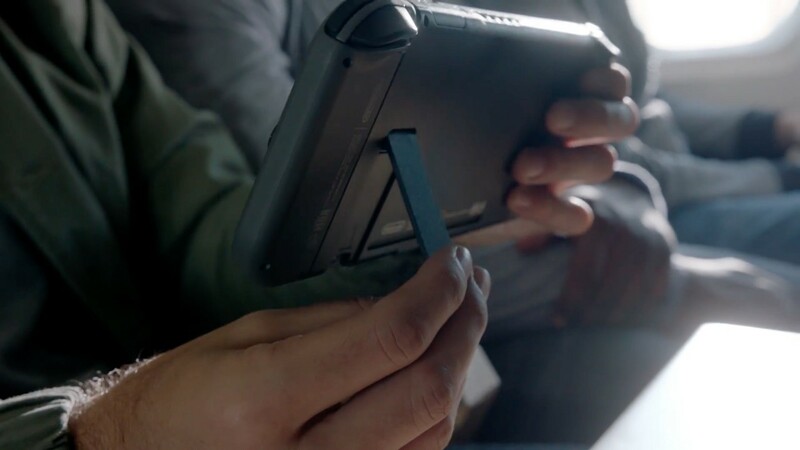 There’s sliders to help guide the tablet into the dock, they are hard plastic and WILL SCRATCH YOUR SCREEN. How you ask? The screen isn’t glass, it’s a soft plastic that you can easily, easily scratch. Got a 3DS? It’s like that. You absolutely need a screen protector, so get your credit card ready because there’s more than that 10 bucks you’ll be spending. The internal storage is less than 32GB after formatting, system/game updates. Do not bother with saving games here, find a microSD card, make sure it’s a fast one and get no less than 64GB. Games range from 4GB to around 30GB. You’ll probably want one off amazon since I’ve seen 128GB cards go on sale for 50 or less. The battery life is awful. I’m sure there’s someone reading this who’ll leap to defend it. If people mock the Game Gear for crap battery life, this thing lasts less than even that device playing something like Breath of the Wild. 2.5-3 hours, if you have a full, new, battery. So, more money spending if you’re a mobile person! Because you can purchase a USB-C battery bank and play on the go, which is obviously less than ideal. Game Gear offered the same option and it’s still dumb 20 years later. The kickstand is useless, it’s, so, useless. I have a Surface Pro 4 and had a SP2 which yes is a more expensive device but the kickstand being my point goes across the entire back flush and shouldn’t be too hard. Also, if you want to play and charge in tablet mode? You can’t because the USB-C port is on the bottom of the unit, meaning it can’t sit while you play unless you, you guessed it, buy a stand. Or if you have a 3D printer I’m sure you can swing that. The device is huge, if you’re going to travel, you want some kind of case. There’s a few of them online I’ve seen, all gigantic rivaling the size of the Atari Lynx model 1. This isn’t really avoidable since it does have a big (and lovely) screen and the controllers fit on the sides, even if you take them off you still need to store them. The clips that snap onto the sides of the joycons are a huge problem, it’s really easy to mix them up and put them on wrong and…well just youtube how to fix it because, with a tool it’s easy to get off. Otherwise, you may be stuck till you get one. It’s not a perfect system but it’s getting a lot of flack I don’t think it deserves. Don’t get me wrong it’s bloody flawed, down to the accessories being way too expensive. But if you want one, and you MUST have one, it’s not a purchase I think you’d have to be ashamed of. In terms of accessories, it’s robust what it comes with. But the other accessories you may be inclined to buy, such as the pro controller and such are priced rather high. As are replacement accessories. Joycons are $80, pro controller is $70, dock is around $90. 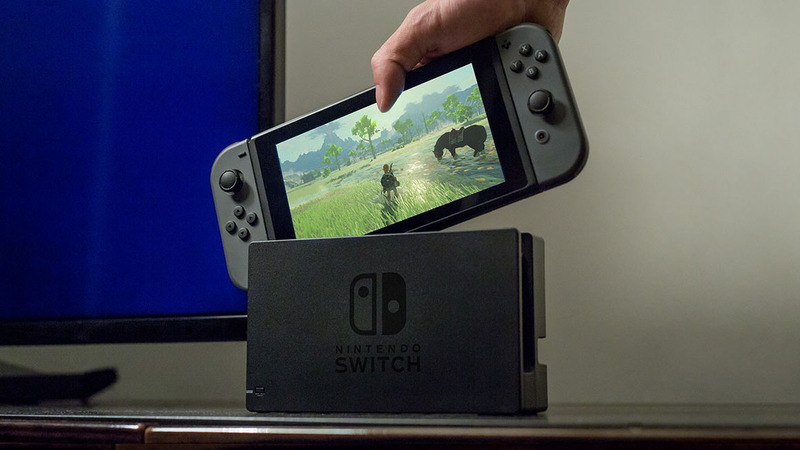 -No, the switch doesn’t get too hot. Your phone during a game could get more hot than this. 2+hours docked playing Breath of The Wild and it was very warm, and it won’t get that warm when in handheld mode. -The analog sticks are fine, I don’t have any issues with them. They’re not strange like the PSP or 3DS, they tilt and everything. The Dpad is not great though. -The build quality on the joycons and actual tablet is damn nice. It’s more so than the new 3DS XL. 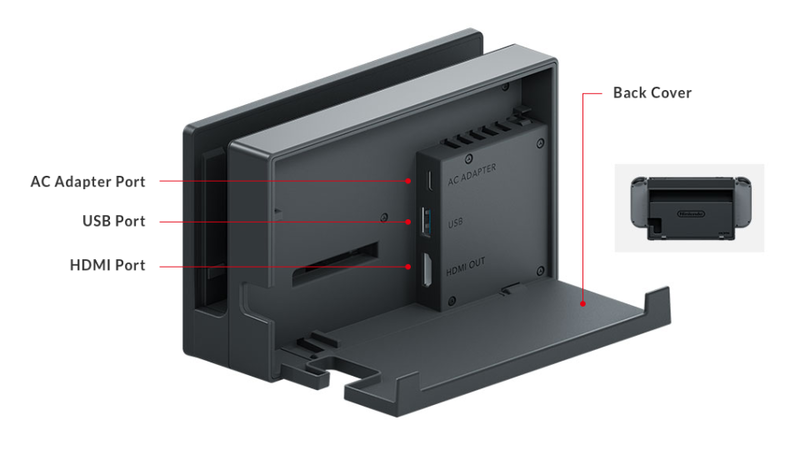 Nothing feels flimsy and the joycons do not pivot on the sides of the unit. I’ve seen a youtube vid of a guy doing so, he dun’ messed up because held even at the VERY edges of the joycons, no problem. Held by one joycon, it works fine. Nintendo did a pretty good job, there’s some major flaws about the unit, but that said I think I could list some issues with the PS4 in a proper review. (Low HDD space, huge installs, crap load times, crap battery life on the controllers). There’s NO reason to get the Switch with this all said at the moment. It’s the launch of the device, with a whopping …what, 9 games? Only Breath of the Wild is a must have as well as Shovel Kngiht and the rest are either not interesting or too expensive (Bomberman). There’s no virtual console list of SNES titles or whatever. In maybe a few months when Sonic Mania & “Other Sonic Game” come out, along with Mario Kart 8 & Splatoon 2 come out, yeah it’d be worth getting. But, the other thing to then consider is if you’re gonna play these games online…You’re gonna be forking out online fees. The dock does not add any special CPU or up-scaling. The dock provides extra power, the switch recognizes it and increases it’s own CPU/GPU clockspeed. Disclosure: I bought my own Switch and copy of Breath of the Wild. I’m not the kind of person who buys games or devices based on a company. I have PS1-4, PSP, Sega Genesis+CD, Sega Saturn, Sega Game Gear, SNES, Gamecube, Wii, WiiU, Switch, GBA SP+New3DSXL, a Microsoft Surface Pro 4.